Volume 2 | Issue 3 | JOCR July-Sep 2012 | Page 17-20 |Sharat A, Akhtar NM. Introduction: Close reduction by extension-block K-wire fixation for acute mallet fracture is based on two sound orthopedic principles – stable arc splinting and early protected motion. 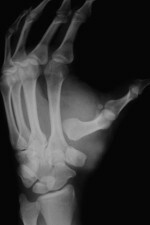 Distal interphalangeal joint splinting is still the technique commonly used for mallet fractures with significant morbidity and only moderate functional outcome. Case Report: We have demonstrated here Ishiguro’s technique in a partially treated 2 weeks old mallet fracture with the flexion deformity at distal interphalangeal (DIP) joint after proper preoperative assessment. 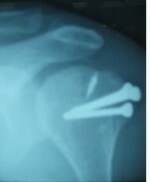 Peroperatively, proper anatomical localization of mallet fragment was done under fluoroscopy. 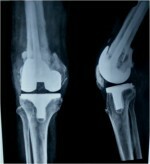 Reduction of the avulsion fracture was done by extension block K-wire and intra-articular K-wire was inserted subsequently to hold the reduction in place and DIP joint in extension. Later on K-wires were removed at the end of 6 weeks follow up. Patient was subjected to the physiotherapy during the course of the treatment. Excellent functional outcome was noted at the end of three months. 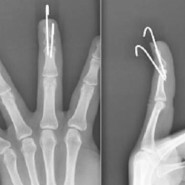 Conclusion:Closed Extension block pinning can give acceptable functional outcome even in delayed mallet finger injuries. Full range of movement at the affected joint is an important pre-requisite for the same. Keywords:Mallet finger, Mallet fracture, Extension block method.